Bella Kosmacher’s project, ABUNdANCE, seeks to bring dance outside of the studio and into the everyday. Bella Kosmacher ’14 believes that our everyday motions—motions that most people think of as merely pedestrian—are a source of art. Kosmacher looked to these moments for inspiration when conceptualizing her dance theatre piece, ABUNdANCE. “I wanted to create a piece that would help people notice these little dances are happening all around them,” wrote Kosmacher in an emailed statement. Kosmacher seeks to revise the notion that dancers are only those who study the craft and perform on stage. With her project, Kosmacher intends to make dance accessible to all, liberating dance from any preconceived notions people may carry. “It was originally conceived as a project to involve and incorporate people who do not have previous experience with dance into her [Kosmacher’s] dance world,” said Emma King ’15, who is one of the dancers involved in ABUNdANCE. During the first day of dance class, Kosmacher remembers listening to her peers introduce themselves. Kosmacher then began to realize that she recoiled when some self-identified as non-dancers. “I see dance occurring in the fluid, rhythmic unison when people fall in step with one or when someone jumps to catch a frisbee or kneels down to pick something up off the ground,” wrote Kosmacher. From the beginning, Kosmacher wanted to ensure that the dancers’ movements were as organic as possible. During the audition and choreographic processes, Kosmacher encouraged the dancers to move to the rhythm inside of themselves rather than conforming to a rigidly structured choreographic routine. As such, the creative process has been somewhat difficult, in the sense that Kosmacher and her dancers are constantly creating and changing ABUNdANCE’s content. Kosmacher attributed its fluidity to the original nature of her endeavor. “Unlike much traditional theatre, which is based upon a script or some other material that has already been created, ABUNdANCE is entirely original. One of the biggest challenges is creating a ton of material in a short time, while simultaneously making sure to streamline and simplify,” wrote Kosmacher. In essence, Kosmacher wants ABUNdANCE to be the swan song of her dance career at Vassar. 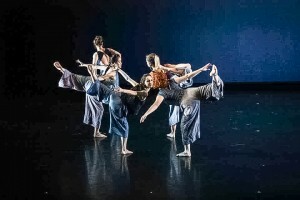 After dancing for Vassar’s Repertory Dance Theatre (VRDT) for all four years, Kosmacher wanted to express her philosophy of the art form: Thus, ABUNdANCE was born. “Dance is an incredibly important creative and communicative tool in my life, through which I have come to better know myself and find my voice. ABUNdANCE is an opportunity for me to develop a process for sharing this unique form of expression with others as well as to grow as a choreographer and director,” wrote Kosmacher. Kelsey Greenway ’16, a fellow member of VRDT, noted Kosmacher’s self-evident love for dance. “I remember this one time she started crying after a dance performance because she was so heartbroken that people do not get to have the same proprioceptive experience of the body that dancers have,” wrote Greenway. As a multimedia project, ABUNdANCE incorporates film—footage of people completing everyday tasks like running, cooking and playing card games—as a way of supplementing the dance performances. Kosmacher has filmed loved ones to include in the performance as well; she will include footage of her grandmother playing the game Mahjong, for example, as a way of illustrating the different dimensions of dance and how it touches upon every aspect of life. To some who self-identify as “non-dancers,” ABUNdANCE’s commitment to involving the audience in the performance and incorporating everyday scenes enforces the project’s message on a more personal level. “ABUNdANCE will be thought-provoking, and truly fresh for Vassar. For me, a theatermaker who has never thought of herself as a ‘dancer,’ this has been an exciting and horizon-broadening experience. 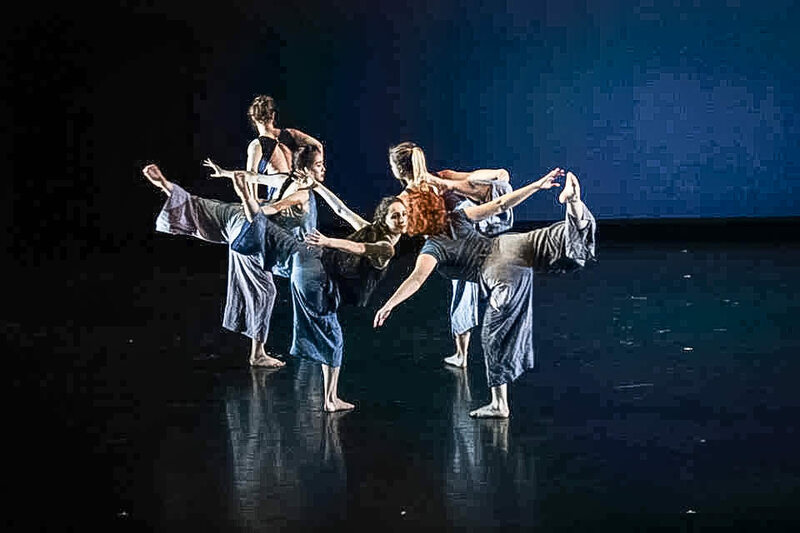 I think a lot of people on this campus who don’t think of themselves as dancers, but who perhaps make other kinds of art, will be challenged and inspired by what Bella has created,” wrote Amanda Feinman ’14, the show’s technical coordinator. Dance is an act of love for Kosmacher, emphasized Greenway. “When Bella dances, she has a fullness about her, as if she is filled to the brim with movement, overflowing even. She projects so much energy through her chest giving the feeling that her limbs are just extensions of her heart,” she wrote. Kosmacher’s labor of love culminates on April 11 at 8 p.m. in the Aula.